– Despite my best laid plans, I was in fact not early to work but was late courtesy of a faulty alarm clock. Er…ok. It may have worked for the 800 times I hit snooze. But it totally failed on the 801 time! – To help go along with the time-saving thing in the morning, I laid out my outfit last night. At least, I thought I did. I woke this morning to find I had laid out a complete outfit…minus the pants. And for the life of me, I could not find my black dress pants anywhere! Seriously, they must have walked out of my room. So I’m rocking black skinny jeans to work…on a Wednesday…which is against dressed code. Sshh- Don’t tell. – I apparently decided today was the day to channel my inner Bag lady. I sauntered into work with not one, not two, but three large bags- my purse (yes, its large), my gym bag, and a reusable grocery bag filled with my lunch, as well as grocery staples I keep forgetting to bring in- coffee, milk for my coffee, sugar for my coffee…more coffee…And by ‘sauntered into work’ I mean, I staggered in under the weight of my three ginormous and heavy bags. – When removing one of my gargantuan bags from the car, I proceed to accidentally spill a bag of dirty hand towels and single socks all over the floor. So as my lovely co-workers were driving into the garage, I was hastily shoving one eeyore sock or one spider sock into a plastic target bag. I don’t even know where that bag came from…or why I have eeyore socks. Thank god that I had the foresight to get my crap together on Sunday and have all my meals planned out for the week. 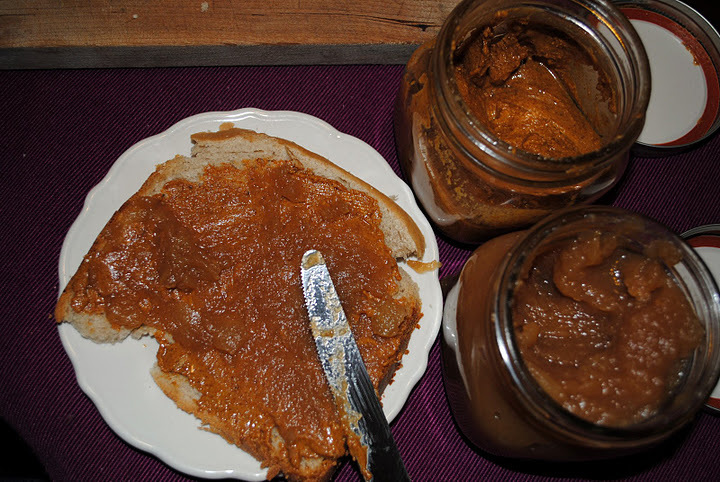 Included in those plans was homemade almond butter with honey and homemade apple butter, which I’m currently enjoying for breakfast with my cinnamon honey bread, all of which were in my ridiculously large grocery bag. SO good! For the almond butter, I have yet to find one that is as smooth as peanut butter. 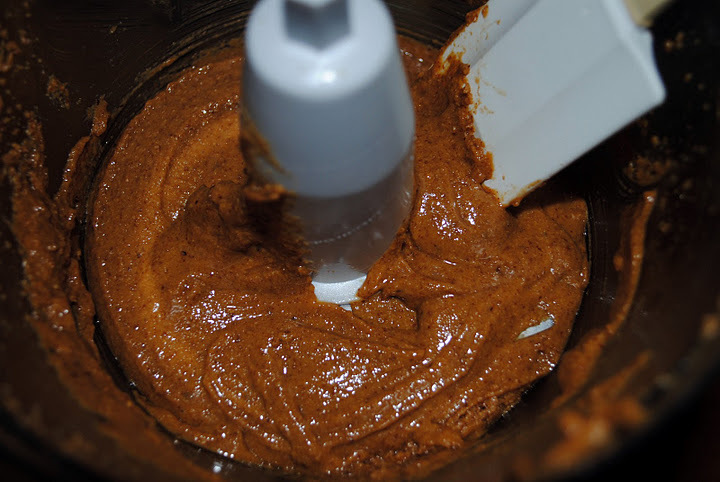 If you are going to make almond butter (which is approximately a trazillion times cheaper to make then buy), you can make it as smooth as you can but you should expect some grittiness. Roast almonds for about 20 minutes in a 300 degree oven stirring half way through. Allow the almonds to cool. When they have cooled down completely, add to a food process and pulse until the almonds are a fine dust. Slowly add your olive oil in (the recipes vary on how much olive oil to put in. I started with 2 TBS but found that wasn’t enough to give it a smooth consistency. You can adjust to your taste). Slowly add honey (like the olive oil, this can be adjusted to your taste preference also. It wouldn’t change the consistency of the butter that much). 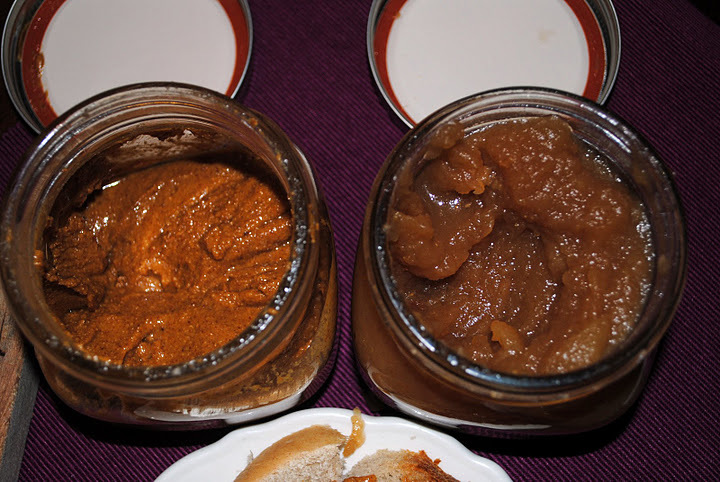 I’ve been meaning to make apple butter forever! So I’ve been looking at a ton of recipes. None particularly stood out for me. I had two people say they had really good recipes so I had them send them over. I liked aspects of each and was influenced by them but in the end, I just sort of winged it. *Like the almond butter, this can be adjusted to suit your taste. For instance, many of the recipes call for a lot of sugar. I didn’t want to start my day with a sugar rush so I scaled back on the sugar quite a bit. Core and peel the apples. Cut them into chunks. In a large pot, combine apples and water and bring to a boil. Stir, reduce heat to a simmer. 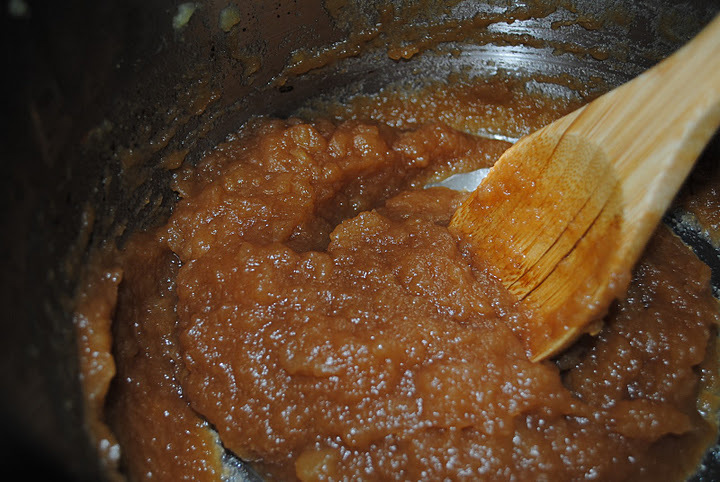 When the apples are soft, about 20 minutes, use an Immersion Blender and blend until there is no, or almost no, chunks. Return to the heat and continue simmering until there is no liquid, stirring occasionally. This took me about 2 and a half hours. I was doing other things in the kitchen so I just had it going on in the background and would stir it every 10 to 20 minutes. Stir in cinnamon and brown sugar. Leave it on the heat for another 10 minutes or so until the sugar and cinnamon have really cooked in. 3. I MUST make my own almond butter very soon. I actually don’t really like peanut butter (unless combined with chocolate), so it would be nice to have almond butter for sandwiches and toast. 4. Keep up the awesome blogging!